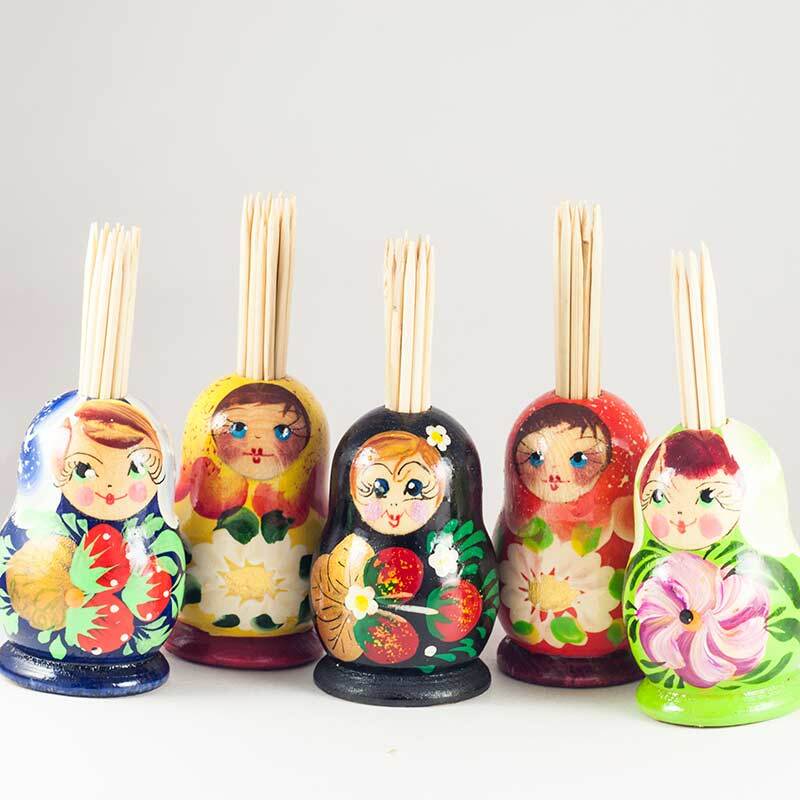 Set of Five Assorted Toothpick Holders - it is consist of five original holders of toothpicks which are made of shape of Russian matryoshka doll. 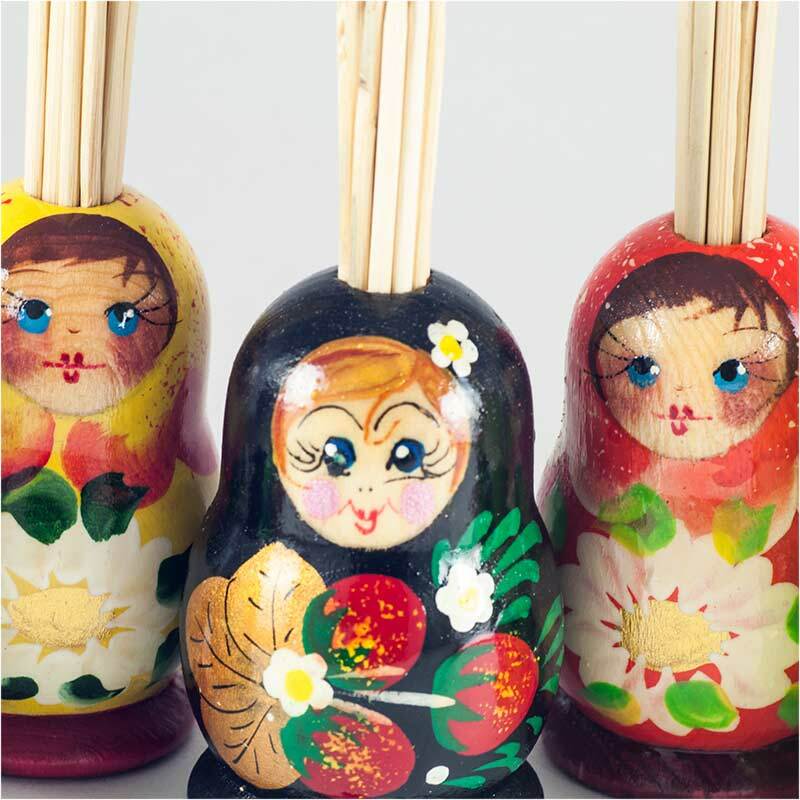 The body of a toothpick holder is turned of wood, then hand-painted and finished with glossy lacquer. 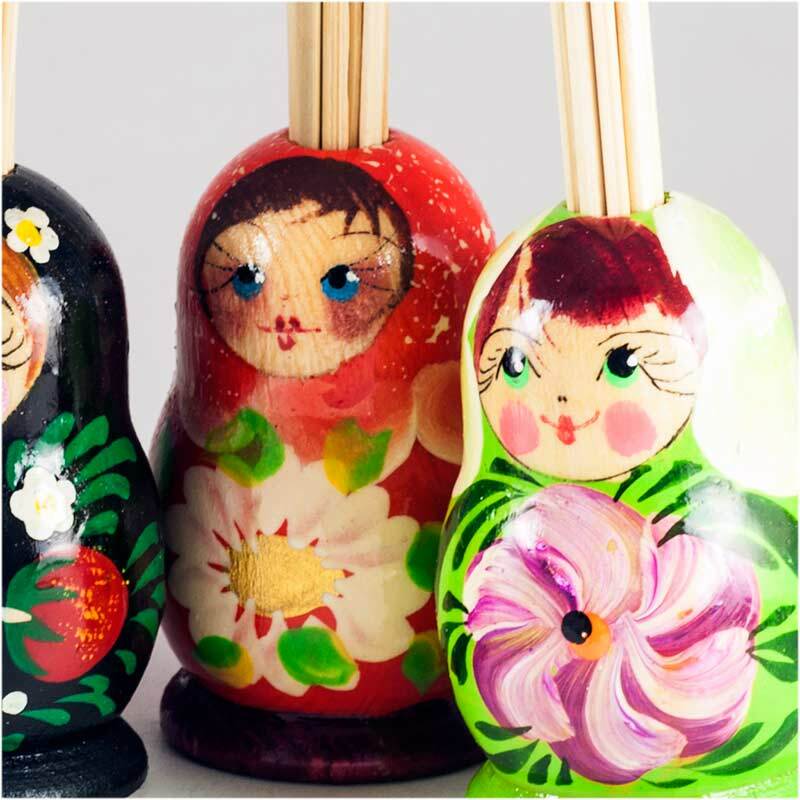 The designs and colors may be a little bit different but we assure that quality is the same.